Are you in the market for an irrigation system, or just wondering if an irrigation system is right for you and your needs? Whether you are a farmer, homeowner, athletic director, or run a nursery or greenhouse, having an irrigation system can benefit you! Irrigation systems allow you to use water in an effective and sustainable way, while giving you the green results that you are looking for. All living organisms need water, which means regardless of whether you are growing fruits and veggies, trying to master the greenest turf, or need to keep the livestock cool, you could use the convenience of a customized irrigation system. Our systems are also great for lumber yards to keep the wood from splitting and cracking. 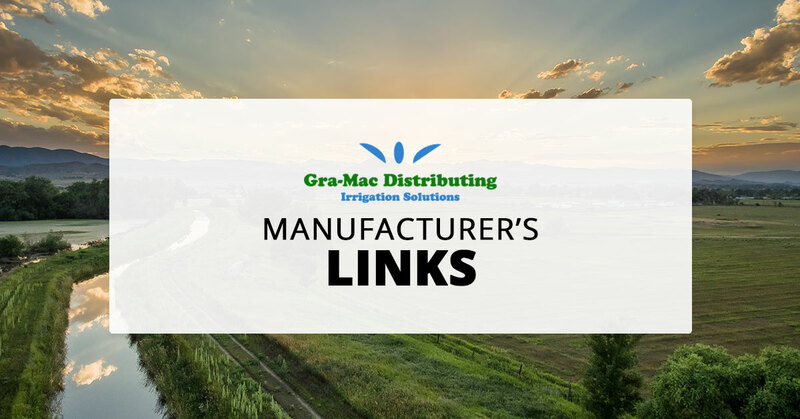 The specialists at Gra-Mac Irrigation can help you to design and find all of the perfect pieces to make your irrigation system dream a reality. We sell high quality irrigation supplies from well known and reliable brands that you can trust, like Chemilizer Company, Alex-Tronix Controls, Harrington Company, Nelson Irrigation, Irritec, Sure-Flo Sprinklers, Berkeley Pumps Company, Harwil Company, Lakos, Senninger, Travis, and more! Click any of the links below to find out more about the companies whose products we support and why! With so many options to choose from, you may need a helping hand to steer you in the right direction. Worried about installation? Don’t be! Our team of irrigation experts can even help you install your new irrigation system, if you’d like. Contact us today with any questions or concerns!